Kimi Raikkonen says he will not be able to get any satisfaction out of beating team-mate Fernando Alonso until the Ferrari is more competitive. For the second time this year Raikkonen qualified ahead of Alonso at the Spanish Grand Prix, but the two Ferraris could only manage sixth and seventh on the grid. 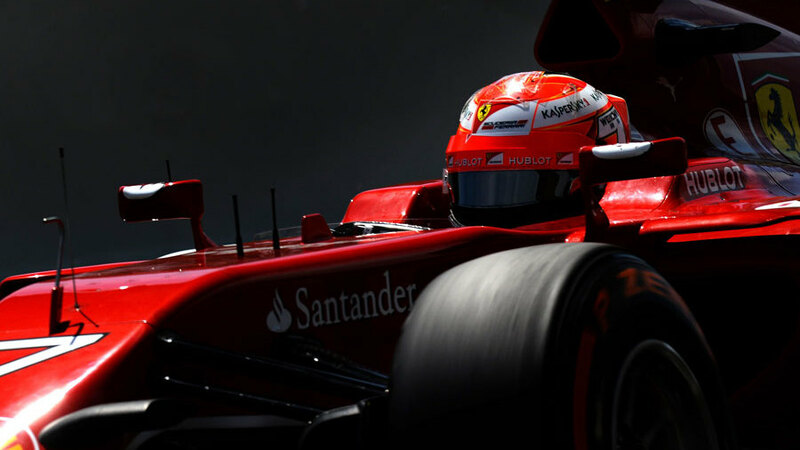 Raikkonen said that until Ferrari is fighting at the front, beating Alonso does not give him much pleasure. "Obviously people are interested in that side, but for me until we are in the front it does not interest me," he said. "Obviously I try to stay in front of him, but it doesn't give me much satisfaction when we are sixth and seventh - that's not where we want to be. "It's a much bigger picture that we have to look at and right now if I'm in front it's nice but it doesn't really change my life. I want to win as a team at the front and then it makes a difference, but right now it does not make that big a difference." Raikkonen improved from being 14th fastest in final practice, but said the car was still difficult to get a quick lap out of. "If you looked in the morning it was a disaster and then we changed the car quite a bit, but it's still really difficult and we have to find a lot to get the one lap out. It's small things all the time but it's tricky to get one lap on the line without making massive mistakes, it seems to always happen the mistakes. It's just a big fight always to get the lap out of it. We're still disappointed, it's still sixth and seventh and we want to be in the front so we cannot be happy, but that's how it goes." Asked if a podium was possible, he said: "That's the aim, but is it going to happen? Hard to say. In previous races this year there has always been something happening and it's been difficult, so hopefully we will have a normal race, but let's wait and see."